Mix all ingredients in a mason jar. Notes: Store in the fridge and use within 4 days, can be served cold or warm up in the microwave. So, I’ve tried them before and about gagged when I made them with greek yogurt… way to tart even when I tried to sweeten them up. I stumbled upon a recipe that used almond milk and thought I would give that a shot and while I’m at it why not make it like my favorite no bake cookies! Let me tell you.. these are dangerous! I made them in my salad jars so that’s why it doesn’t look like much, I’d recommend using a smaller mason jar to make them. There’s a lot of freebies in there so this a way to get your chocolate fix without using a treat swap! 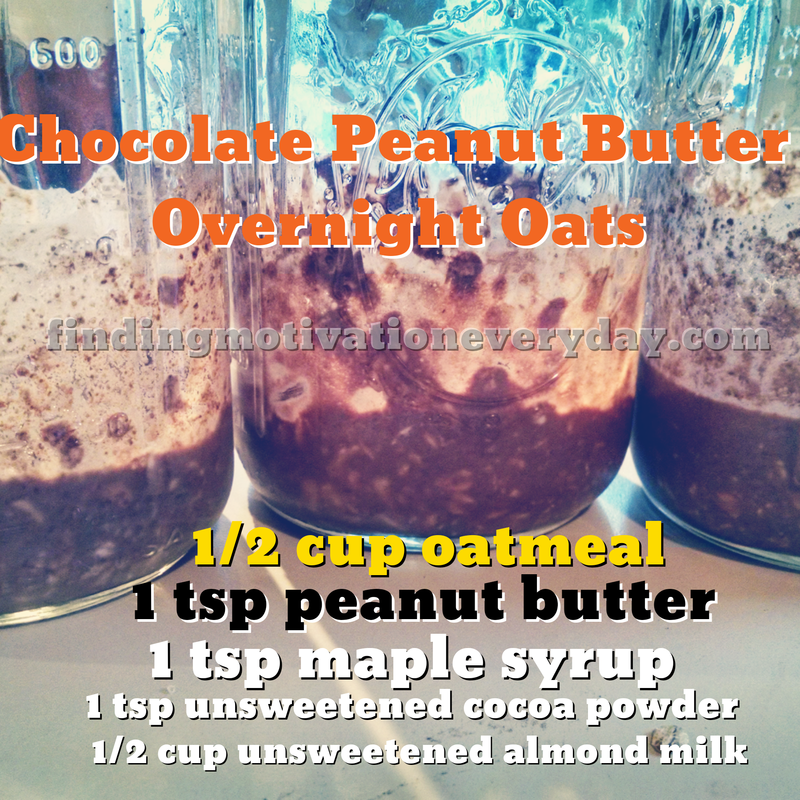 NOTES: I love this as a grab n’ go breakfast, or as a mid morning snack, I eat it right out of the jar. I usually make in batches of 3 so I don’t know if they last longer than that. I like to eat it cold but you could heat up in the microwave. 21 day fix freebies: 1 tsp maple syrup is free, 1 tsp unsweetened cocoa poweder is free and 4oz of unsweetened almond milk is free) NO TREAT SWAP!!!! !